Gowanda, NY - Frederick C. Falk, 86, of Gowanda, passed away November 7, 2018 at Bertrand Chaffee Hospital. He was born on October 15, 1932 in Gowanda, NY son of the late Alfred and Robbin (Townsley) Falk. Mr. Falk was a US Army Veteran and was previously employed at Moench Tanning Co. in Gowanda as the Water Treatment Manager. He was a member of the Coast Guard Aux. and the Gowanda moose as well as the Gowanda American Legion Post #409 and Slovenian Club. He also headed up a local Barbershop Quartet and was a member of the Buffalo Chorus. 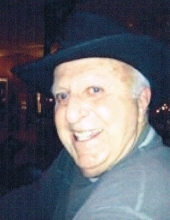 Mr. Falk is survived by three sons; Brian Falk of Gowanda, NY, Eric (Natalie) Falk of South Carolina, and Douglas (Diane) Falk of Little Valley, NY as well as five grandchildren, and three great grandchildren. Besides his parents, he is predeceased by his sister, Sidney McGowan. Memorials may be made to the Gowanda Moose to support their roof fund. To send flowers or a remembrance gift to the family of Frederick C. Falk, please visit our Tribute Store. "Email Address" would like to share the life celebration of Frederick C. Falk. Click on the "link" to go to share a favorite memory or leave a condolence message for the family.